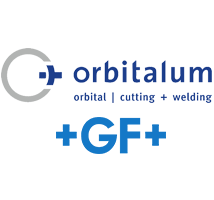 Founded in 1960 as a subsidiary of George Fischer and renamed in 2006, Orbitalum is a highly regarded manufacturer of superior quality, long lasting tube cutting and pipe preparation machine tools. Orbitalum saw blades exhibit the precision, power, and simplicity that German tools and machines are famed for. Georg Fischer Orbitalum 790043018 Performance Saw Blade 3.150"
Georg Fischer Orbitalum 790043022 Performance Saw Blade 2.953"
Georg Fischer Orbitalum 790043036 Performance Saw Blade 3.937"
Georg Fischer Orbitalum 790043038 Performance Saw Blade 3.937"
Georg Fischer Orbitalum 790047026 Performance Saw Blade 3.937"